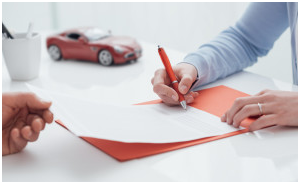 Why Choose Snap Car Cash For Auto Title Loans? Do you live in Canada, have bad credit and need a loan instantly? Snap Car Cash has the perfect solution to fix your financial issues. We can help you through car title loans. Title loans are loans used against your vehicle title. Auto title loans are perfect cash assistance when you are in dire need of money. No matter what type of situation you are in it, you own a fully paid car you can still apply even with bad credit, without a second thought. Apply with us today and we will guarantee you will be fully taken care of. You will not have to look anywhere else to get the cash you need. Borrow money quickly with no income verification, no credit checks, and no delay. The amount is determined by the positive equity and market value of your car. Further factors that we consider are a year, make, model, mileage, and condition of the vehicle. Loan terms up to 5 years. Keep your vehicle during the loan. 70% lower interest rates than our competitors. An Easy Application Process For Fast Funding! Call Us And Get Approved Instantly. Dial Our Toll-Free 1-888-886-7627 To Get More Details About Our Vehicle Title Loan Services!